These Chai Spiced Overnight Oats are a simple make-ahead breakfast that’s perfect for busy mornings. Hearty oats, Greek yogurt, and a sprinkling of cozy spices and sweetness give these overnight oats a delicious taste and texture that’s sure to keep you going all morning long! Now that we’re nearing the end of January let’s talk about those resolutions. Or goals. I like goals better, remember? Are you sticking to those goals that you set for yourself earlier this month? If you are, can you tell me your secrets? While I’m usually able to stick to most of my goals, the hardest part is remembering to do it most of the time. You know, like exercising more (even on the weekends), making better choices when it comes to food (especially when going out to eat), that kind of thing. It’s a work in progress, and something that I grant myself a little flexibility with, just to make it a little easier. But I’m really trying to make smarter choices with eating better, whether it be whipping up something in my own kitchen or when going to a restaurant. One product that has helped me reduce my use of sugar is Truvia Natural Sweetener. It’s a natural, zero-calorie sweetener born from the leaves of the stevia plant. 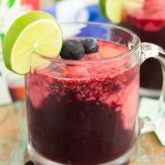 The naturally sweet flavor can help you create better recipes that are lower in sugar, while still maintaining a delicious taste. 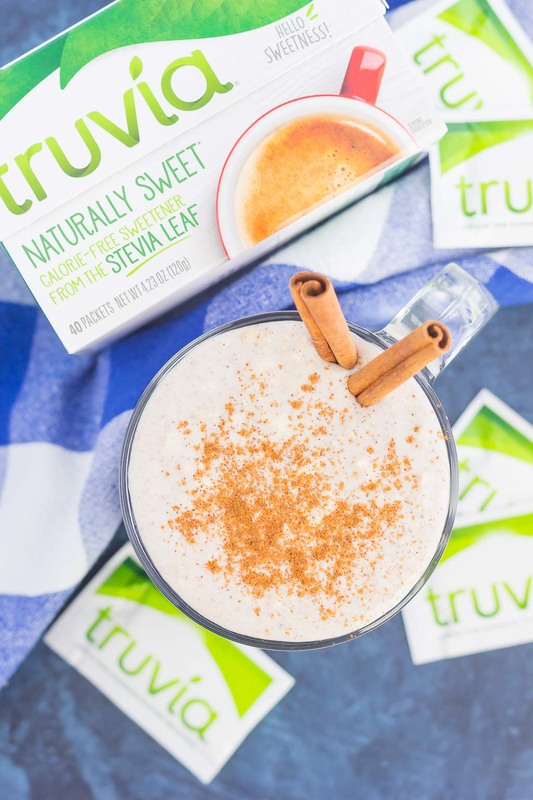 And best of all, Truvia Natural Sweetener is more than just a sugar additive to use in drinks and desserts. It’s such a versatile ingredient that can be used in appetizers, main dishes, soups, dinner and more! 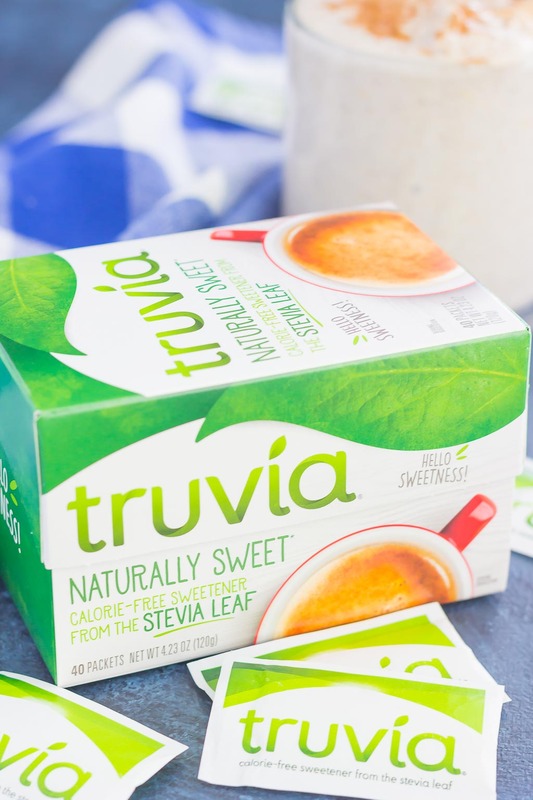 Did you know that just one packet of Truvia Natural Sweetener provides the same sweetness as two teaspoons of sugar? Head over to this site to find a conversion chart! 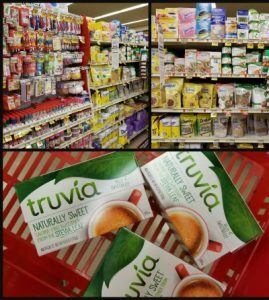 I found my Truvia Natural Sweetener at my local Jewel, but you can find it at your local grocery store! 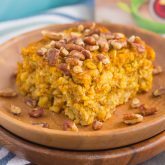 For a coupon, more information, and recipe inspiration, be sure to click here. You can also use this store locator to find your nearest Albertsons or Safeway store. From now until 4/30, you can save $1.50 on any one package of Truvia Natural Sweetener click here! 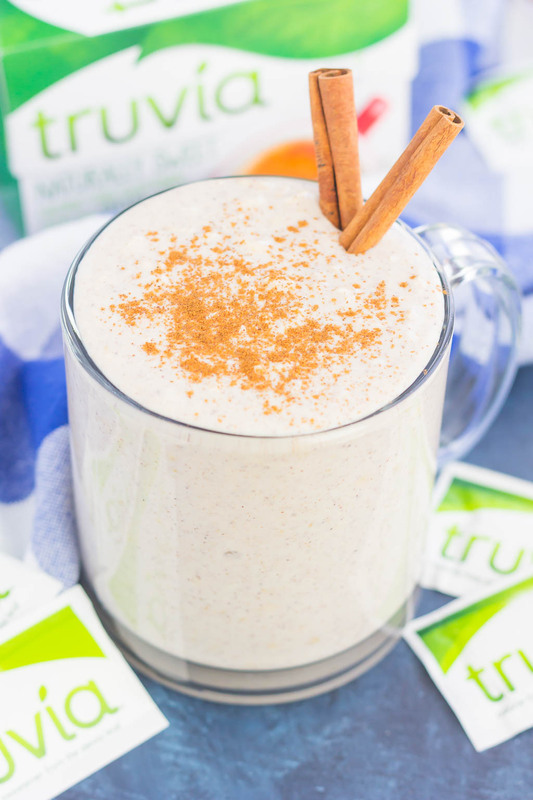 Because Truvia Natural Sweetener is so easy to incorporate into different foods and recipes, I love adding it to my morning coffee, afternoon tea, post workout smoothie, lunch, and more. After heading home with Truvia Natural Sweetener and the ingredients that I needed from Jewel, I whipped up an easy and delicious breakfast. After all, breakfast is the most important meal of the day, right? These Chai Spiced Overnight Oats are a simple, make-ahead breakfast that’s perfect for busy mornings. Hearty oats, Greek yogurt, and a sprinkling of cozy spices and sweetness give these overnight oats a delicious taste and texture that’s sure to keep you going all morning long! We all know how busy mornings can be! Whether you’re running around getting the kiddos ready for school, prepping for the day ahead, or getting yourself ready, breakfasts often fall to the last thing on our minds. But with these Chai Spiced Overnight Oats, you can make breakfast the night before, and pull it out of the fridge in the morning for a simple dish that’s ready when you are. 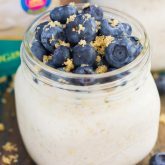 And not only are these overnight oats hearty, thick and oh-so delicious, but they’re so easy to make, too! But you knew that was coming, right? With no stove involved, you can have this dish prepped in a matter of minutes. 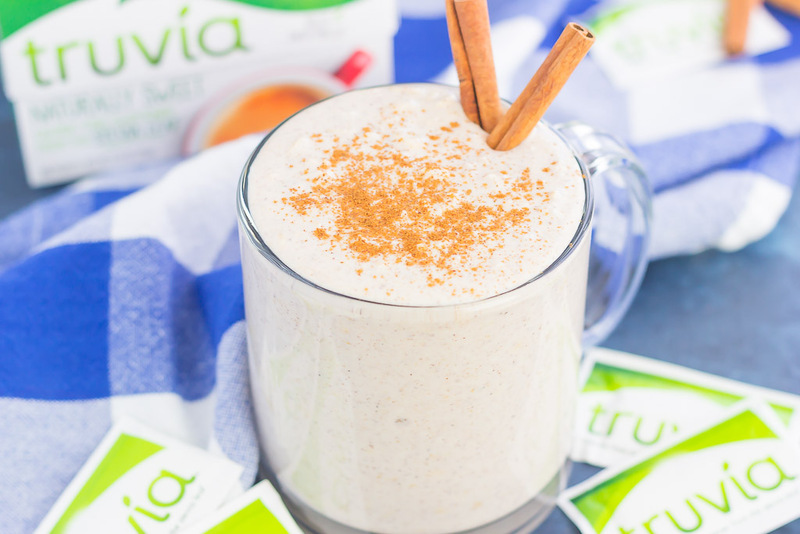 To prepare these Chai Spiced Overnight Oats, you’ll combine some old-fashioned oats, milk, vanilla Greek yogurt, vanilla extract, two packets of Truvia Natural Sweetener, and a combination of spices, such as cinnamon, cardamom, ginger, nutmeg, and cloves. Stir everything together and then pour the mixture into small mason jars or an airtight container with a lid. Pop the overnights oats into the refrigerator and let chill for at least four hours (but preferably overnight) to let the oats soak up the liquid. When you’re ready for breakfast, simply pull the oats out of the fridge, grab a spoon, and dig in! 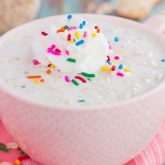 I like to eat my overnight oats cold, but you can easily warm them up in the microwave for a hot breakfast. These Chai Spiced Overnight Oats, sweetened with Truvia Natural Sweetener, fit into my new year goals of sticking to better eating. So, if you’re on the hunt for good-for-you recipes like I am, grab those ingredients and whip up this easy breakfast today! These Chai Spiced Overnight Oats are a simple, make-ahead breakfast that's perfect for busy mornings. Hearty oats, Greek yogurt, and a sprinkling of cozy spices and sweetness give these overnight oats a delicious taste and texture that's sure to keep you going all morning long! 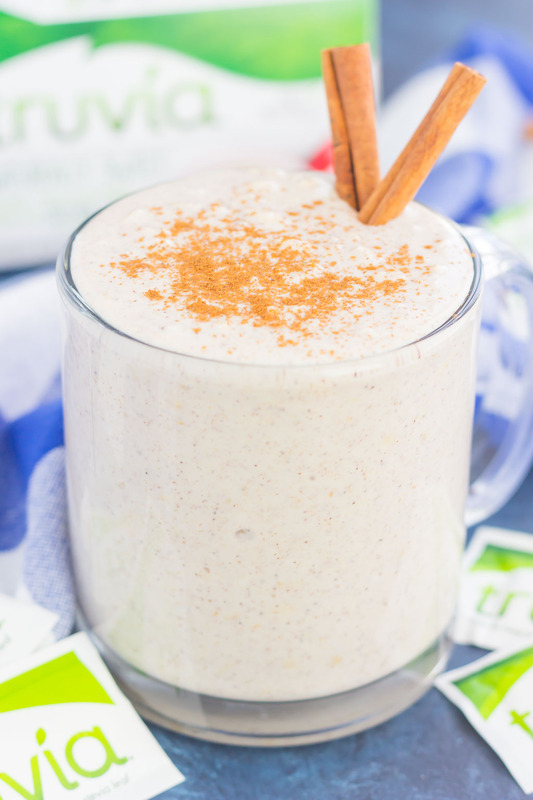 In a medium bowl, mix together oats, milk, yogurt, vanilla extract, Truvia Natural Sweetener, cinnamon, cardamom, ginger, nutmeg, and cloves. Remove from refrigerator and stir. Top with cinnamon, if desired. Like what you see? Then be sure to head to your local grocery store to pick up Truvia Natural Sweetener! Sounds like the perfect way to start the day. 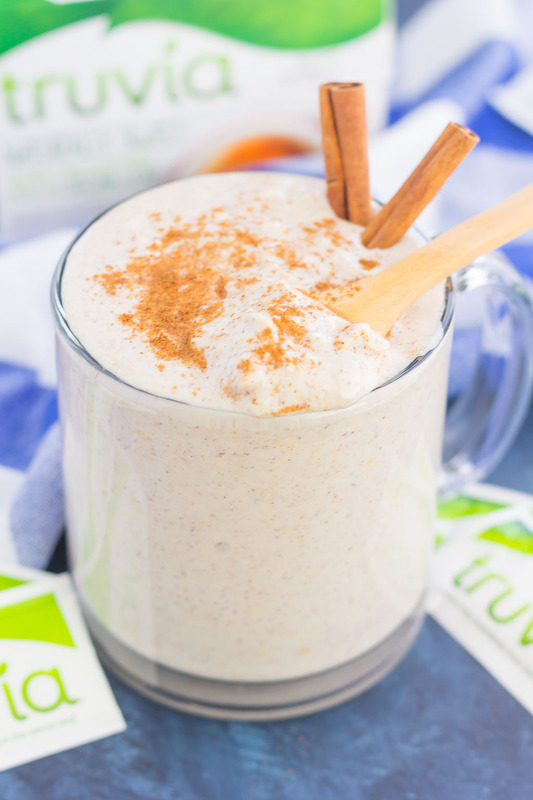 Can't beat the Chai flavors and the ease of overnight oats. Delish! Thanks for the sweet comment, Blair! Thanks, Jenna! It's overnight oats, not a beverage, but that sounds delicious, too. This looks like the perfect (super easy) breakfast! Love the idea! Can't wait to try it! Overnight oats are definitely my breakfast love language! These seriously look SO creamy and I love all that chai goodness you packed inside! Oooo why have I never added chai spices to my overnight oats before?! LOVE that idea!! We love chai spiced overnight oats here (and overnight oats in general)! These look so creamy and delicious!